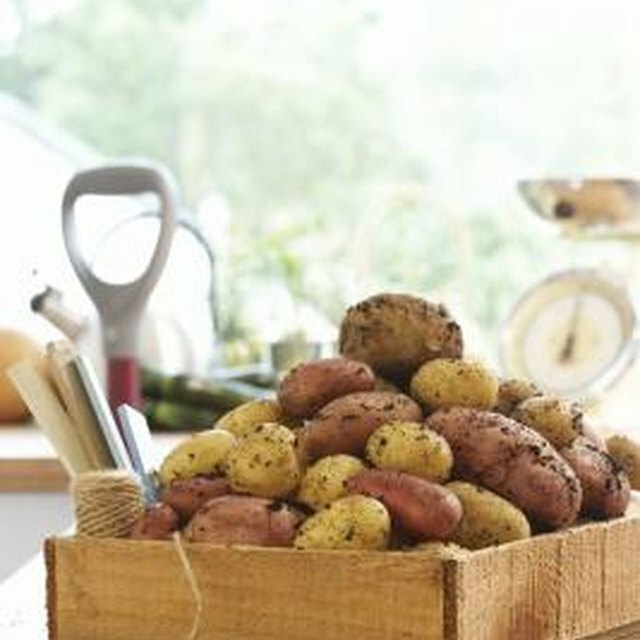 The Irish brought many traditions to New England, including soda bread and dishes with corned beef and potatoes. 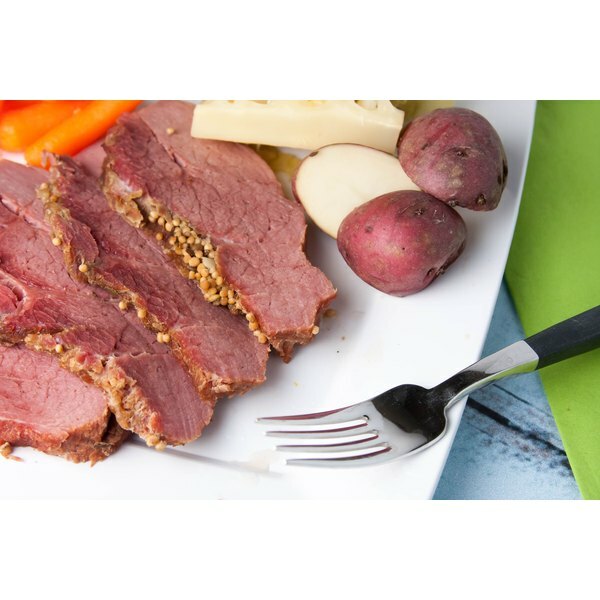 New England boiled dinner, also known as an Irish boiled dinner, is not just for St. Patrick's Day. You can enjoy this savory, filling meal anytime. Even though the boiled dinner has quite a few ingredients, it requires little preparation before cooking. Like other meals prepared in a Crock-Pot -- the trademark name for a brand of slow cooker -- you simply assemble the ingredients and throw them in, making this dinner ideal for a busy weeknight. Rub the corned beef with the seasoning packet that came with it. If it didn't come with seasoning, rub it with 1 tbsp. of coarse salt. Combine the corned beef, water and salt in the Crock-Pot. Turn the slow cooker on high and let the corned beef cook for 30 minutes. Turn the heat to medium-low and place the carrots, red potatoes, yellow onion, cabbage and turnips in the Crock-Pot around the corned beef. The carrots and potatoes should go on the bottom, closest to the direct heat, and the cabbage and turnips should be on top. Cook the corned beef and vegetables for three hours on low heat. When the meat is finished, you should be able to insert a fork into the roast easily. Remove the corned beef and vegetables from the Crock-Pot and transfer them to serving dishes. Serve with the loaf of soda bread. If the corned beef has finished cooking before the vegetables, remove the corned beef from the Crock-Pot and place it on a covered plate. Turn the heat in the slow cooker up to medium and continue cooking until the vegetables are done. How do I Cook Turnips in a Pot Roast?